New York, NY Paul Steenson was recently appointed director of development at Townhouse Management Co., a third-generation real estate company that acquires, develops and manages residential, commercial, retail and mixed-use properties throughout the New York metropolitan area. At Townhouse, Steenson’s responsibilities include overseeing construction of the firm’s development projects. He has extensive experience in site assessment, pre-construction planning, construction management and cost analysis. 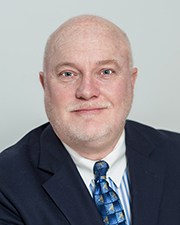 He is currently focused on the company’s large scale mixed-use development project in Memphis, Tenn..
Steenson has a professional career spanning 40 years, during which time he worked for multiple property owners and served in managerial positions at some of NYC’s largest construction companies. He has presided over development and construction for a wide range of properties including the Ace Hotel (NYC), Aspen Snowmass Resort Complex (Aspen, CO), Onyx Chelsea (NYC), Northside Piers (NYC), and High Line Building (NYC).